Hlengiwe Radebe from SEA writes on energy poverty issues affecting peri-urban communities in Polokwane Municipality. According to Statistics South Africa (StatsSA) Polokwane municipality, capital of the Limpopo Province in the north of South Africa and a SAMSET partner municipality, is 40% urban and 60% rural. In South Africa, most rural areas have basic service delivery challenges, and are still under the authority of traditional leaders. Part of the function of traditional leaders is to allocate land for new settlement. This traditionally-owned land does not have a typical market value and is usually far cheaper than land in urban areas. Although 60% of land is described as rural in Polokwane, parts of the rural areas in Polokwane are transitioning from rural to urban areas (peri-urban), presenting a particular set of challenge to urban development. Some degree of agriculture still persists, but most people residing here are already dependent on urban jobs or grant payments. As part of urban municipalities, these areas have access to electricity, piped water and what one may call semi-adequate infrastructure. However, as ‘traditional land’ households are not part of the municipal rates and taxes system, presenting fiscal challenges to municipalities providing the services. Given that the land cost is very low, there is a strong incentive for the working municipal residents to obtain land and build in these outlying, but semi-serviced areas, rather than purchase expensive land in the urban areas. This does not lead to efficient settlement structure and increases the cost of servicing residents, including with adequate public transport. A good example of this situation is Ga Dikgale community in Polokwane municipality. Ga Dikgale has a population of 36000 residents in 7000 households. Dikgale is found approximately 40 kilometers north-east of Polokwane. The population lives in dwellings that range from shacks to brick houses. Mostly people are of Paedi ethnic group, all-African, and are an ageing population. The majority of the populace is economically disadvantaged in an area characterized by high unemployment rates, poor road infrastructure and poor service delivery. My visit to Dikgale brought back childhood memories – a sense of community where people could still walk to their neighbours and ask for salt or mealie meal. A recent household energy survey (funded by Brot) conducted in partnership between Sustainable Energy Africa, University of Limpopo and Polokwane Municipality, covering 388 households in Dikgale, showed that 98% of households are electrified. The has been made possible by the South African government, that made a strategic decision to electrify all South African households both rural and urban, informal and formal, post the first democratic elections in 1994. This successful and globally leading National Electrification Programme was funded by national grants. As of 2016, according to Statistics South Africa, the South African government had electrified 91.1% households both in rural and urban areas although electrification rates in urban areas are significantly higher than in rural areas. Having identified the above challenges, Polokwane Municipality and other municipalities in similar situations can address the current energy needs of peri-urban communities more effectively. From the Dikgale household energy survey, it appears that alternative energy approaches can reduce costs, improve comfort levels and reduce the use of traditional and other problematic energy sources, with associated pollution and environmental degradation improvements. Even where FBE is delivered to indigent households, this is not enough to keep households going for a month. 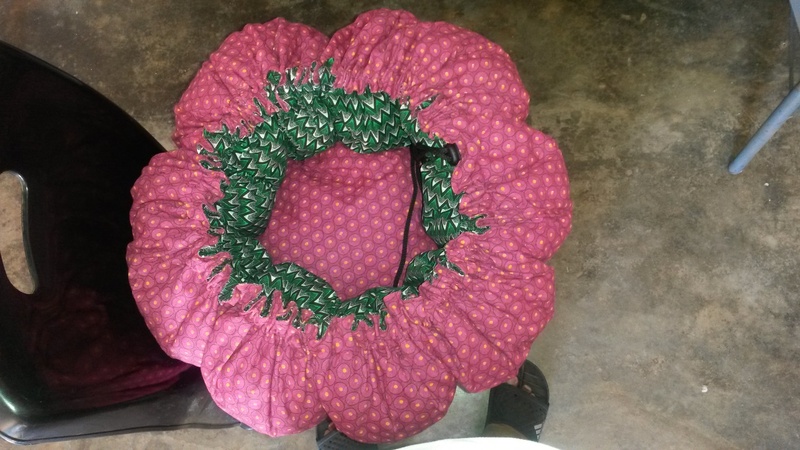 Alternative technologies such as solar lights, wonderbox, tshisa box (a 10 litre portable solar kettle) and solar cookers are some of the technologies that could benefit households. They may also create small business opportunities in the area. However, the past has taught us that community acceptance of such technologies thoroughly needed for any rollout to be successful. Social acceptance factors are not easily understood without trying them out in practice. Access to modern, safe and reliable electricity is a key challenge in many African countries. Peri-urban areas can sometimes fall through the cracks – not being adequately addressed by either urban or rural service delivery programmes. 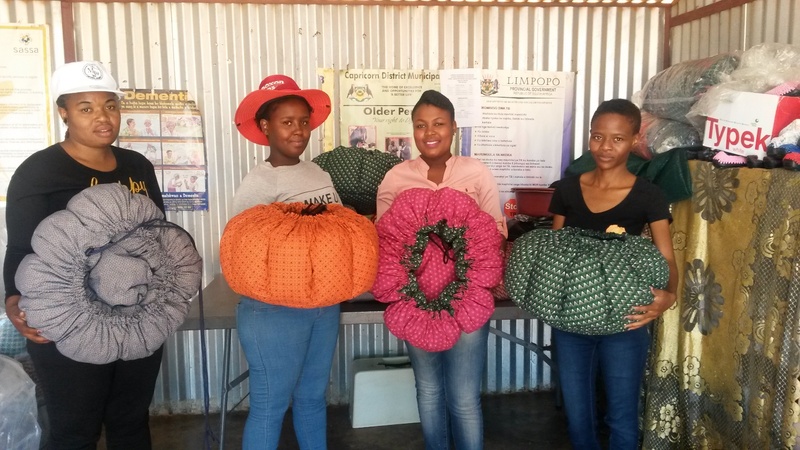 Polokwane municipality, in partnership with Sustainable Energy Africa and a steering committee of key stakeholders, is pioneering a rollout of alternative services, starting with hot boxes that will be made locally as part of a small business development initiative. 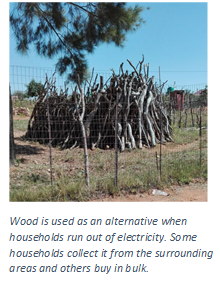 How Polokwane deals with these challenges and this pilot project could provide useful lessons for other municipalities in improving energy delivery to low income households. This entry was posted in Sustainable Energy Africa and tagged Ceiling, Clean Cooking, Community Development, Energy Transitions, FBE, Free Basic Electricity, Hot Boxes, Housing, Innovative Cooking, Municipalities, Peri-Urban, Polokwane, SAMSET, SEA, Sustainable Energy Africa, Urban Energy Access, Urban Energy Services, Wonderbag, Wonderbox on April 10, 2017 by danielkerrucl. 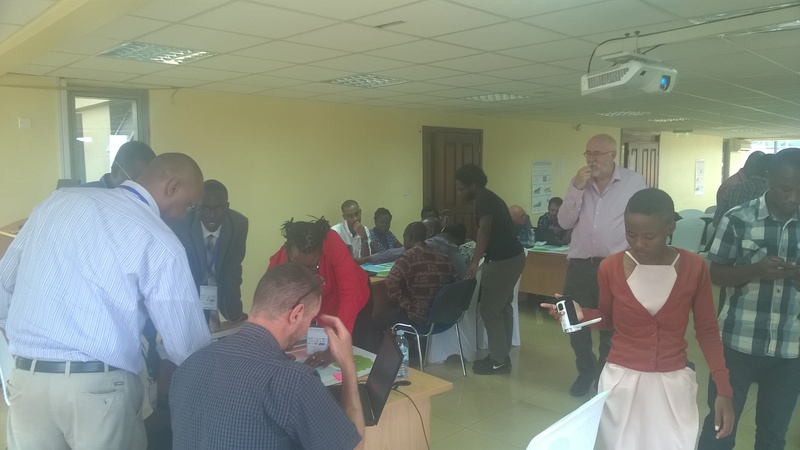 The SAMSET Project hosted a continuing professional development course at Victoria University in Kampala, Uganda from the 7th – 11th November 2016. 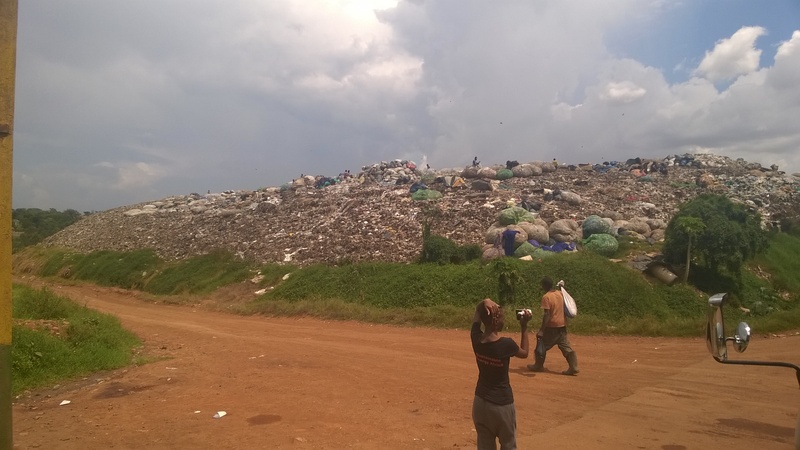 As shown in the previous post, the urban energy management issues present today in Kampala make the city an appropriate place to discuss the future of sustainable urban energy transitions. 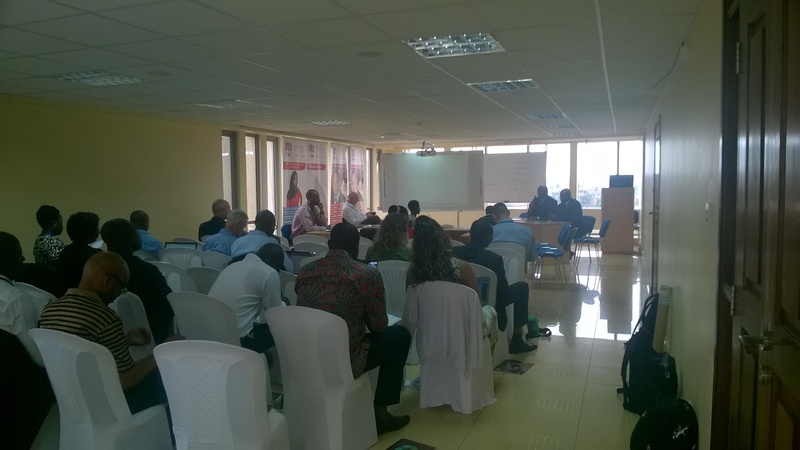 The course was opened with an address from the Hon. Dr Chris Baryomunsi, who gave an address on the overarching issues facing urban Kampala today, include economic growth, population growth and land management. The first plenary day of the course focused on resource efficiency in energy planning and management in the urban sphere. The presentations on this day focused on the mandate that municipal officials have in the energy space (or lack thereof) and a focused discussion on the importance of data in energy planning, as well as case studies of successful initiatives in other Sub-Saharan African cities and the challenges they faced. The city of Cape Town was presented as a successful sustainable transitions case study, with the presentation from Sumaya Mohamed from the City of Cape Town Energy Authority detailing a number of the successful interventions the city has implemented, including electrification of “backyarder” properties and the development of the metropolitan bus transit system. The place of data was also highlighted through Adrian Stone from Sustainable Energy Africa’s exercise, encouraging participants to analyse and discuss data from a recent Jinja state of energy survey themselves. The second day of the course focused on participation and key stakeholders in energy management, and methods to identify the stakeholders through network mapping, as well as to what extent these stakeholders and able (or willing) to advocate for energy transitions. Presentations on this day focused on the realities of bringing sustainable planning into action, whilst managing competing demands, with experiences and cases from the SAMSET Ghanaian partner municipalities, Awutu Senya East and Ga East, as well as from the Ugandan partner municipalities Jinja and Kasese. The closing keynote was presented by David Kasimbazi, head of the Centre for Urban Governance and Development at Victoria University, on the definitions of governance and good governance, and how this affects sustainable energy transitions in cities. Day four of the course was centred around the theme of “Build(ing) Resilience”, with presentations focusing on designing and building with people, as well as ensuring resilience in design and sustainability. Key themes covered in the presentations included environmentally conscious design, with cases from local as well as international buildings, presented by Mark Olweny of Uganda Martyrs University, as well as innovative outreach initiatives for building support for sustainable energy transitions, and the use of the tourism sector as a driver of sustainable transitions, presented by Herbert Candia of Uganda Martyrs University. The SAMSET Project will be hosting a third and final CPD course in Accra, Ghana from the 26th – 30th June 2017. More information on the course will be available both on this blog, as well as the project website, and the project Twitter. This entry was posted in UCL - Energy Institute and tagged African Municipalities, Architecture, Buildings, CPD, Efficient Buildings, Energy Transitions, Ghana, Housing Planning, Kampala, Municipal Energy, Municipal Planning, Planning, SAMSET, South Africa, Sustainable Buildings, Sustainable Energy, Sustainable Urban Energy, Transport Planning, Uganda, Urban Planning on December 8, 2016 by danielkerrucl. This is a joint blog by Simon Batchelor from Gamos and Sumaya Mahomed, Professional Officer in Renewable and Energy Efficiency in the Cape Town Municipality. 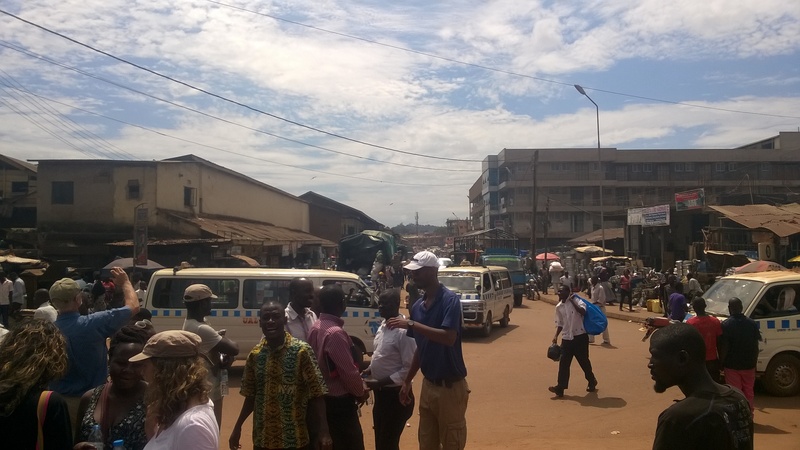 At the recent Africities conference, some of the SAMSET researchers had a conversation with municipal partners, and this article tries to capture its essence. Their subject – timescales. In the development sector, donors, civil society, NGOs, researchers, all tend to speak in terms of 1 to 3 years projects. While the planning processes of logical frameworks and business cases allows for an impact after the project end, there are few agencies willing to commit to more than 3 years. SAMSET is actually a four year project and in that sense quite rare. Most of the other USES projects were 1 to 3 years. Yet within SAMSET is the aspiration to assist our partner municipalities to gather data, create a state of energy report, to model the future (based on that data), to take decisions and create a strategy for ‘energy transitions’. And, within the timeframe of the project, to take some first steps in that strategy, some actions. In a slight contrast to this, Africities has as its slogan – “SHAPING THE FUTURE OF AFRICA WITH THE PEOPLE: THE CONTRIBUTION OF AFRICAN LOCAL AUTHORITIES TO AGENDA 2063 OF THE AFRICAN UNION.”. It is looking at 2063! That is (nearly) a fifty year horizon. Africities knows that municipal planning, changes in infrastructure, raising the finance for those changes, takes decades not years. SAMSET is funded by UK donors and some of the researchers come from the UK, so lets take the London Cross rail link as an example. First of all, lets remember that the essence of London Underground – the transport system that effectively keeps London working – that the essence was established in 1863 (The Metropolitan Railway, using gas-lit wooden carriages hauled by steam locomotives!). That’s nearly one hundred and fifty years ago. The cross link is a new tunnel that will join east London (the banking and business hub) to west London, and beyond. This tunnel has to go ‘in a straight line’ while at the same time missing existing underground tunnels, water mains, etc. At times it will be created just 1 metre from an existing underground structure. So its perhaps surprising that it was apparently first mentioned in 1941, was written on a plan in 1943, serious consultations in the seventies, serious proposals in the nineties, commercial proposal in 2001, and decided on in 2005 (10 years ago) and construction started 2009. Despite the huge advances in tunnelling, it will still take another 5 years to complete. And of course it is only one part of an ongoing dynamic change in infrastructure of one of the worlds leading cities. So imagine now trying to raise funding for a Bus Rapid Transport system in Polokwane. The changes will require that roads be changed, new lanes created, negotiations with landowners of key areas, procurement of the equipment. It is not surprising that it has taken over 9 years since serious planning started (2006), and that it will take until 2020 before it is fully implemented, with all the associated traffic disruption of road works etc. Infrastructure in cities takes time to change. SAMSET modelling shows what the energy consumption of a partner city might look like in 2030. It starts with a ‘business as usual’ model and then explores possible changes, assisting the partners to identify a key change that will make a good (low carbon) longer term change. In the case of Cape Town, the municipality asked for projections to 2040, as the felt 2030 was too close. The timescales in municipality minds are of 10 year, 20 year projects, not 1 to 3 year disconnected projects. Figure 1 Cape Town Growth in energy consumption per sector for ‘business as usual’ scenario. And consider the energy impact of a building. A building will last 40 years or more, so if planning permission is given to an energy inefficient glass tower, the air-con commitment is there until 2063. So municipal planning has a very long term view. Of course in a counter flow to this long view of the municipal civil servants are the politicians who have a very short term view. Politicians are often concerned with short term benefits and easy wins, so they or their party gets re-elected. For city planners it is a difficult balance. So when we think of energy transitions what is the right timescale? Well in a complex world we have to think of all the actors, their different needs and juggle all of them together. We do need to find early easy wins so that donors to research projects and politicians are happy enough to fund a phase two. We do need to build capacity so that despite the movement of people from job to job, a municipality gradually gains the required skills to consult, plan and implement longer term energy transitions. And we do need to have a long term view. Building infrastructure, even building buildings, commits a city to a particular energy path for decades not just years, and so those long term implications need to be taken into account. This entry was posted in Gamos and tagged African Municipalities, BRT, Bus Rapid Transit, Cape Town, Cape Town Municipality, Energy Transitions, Gamos, Infrastructure, Infrastructure Development, Municipal Energy Planning, Polokwane, Project Planning, Renewable energy, SAMSET, South Africa, Sumaya Mahomed, Timescales, Urban Design, Urban Planning on December 18, 2015 by danielkerrucl.